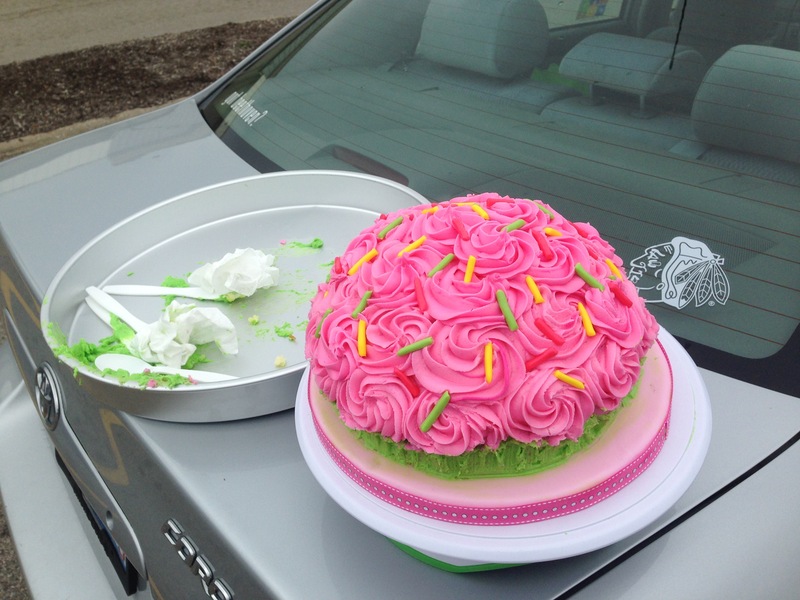 Cake decorating in the parking lot… But of course. Well, it’s been just about 4 months, and the pain and humiliation have dulled enough for me to tell you all this horrible story. I drove away from the house with a spring in my step and a song in my voice. The cake sat securely next to me while the cookies were spread out across the backseat. As I drove, I noticed that the cake was wobbling to and fro a bit. Nothing abnormal, and to be honest, I was secure in the cake’s internal structure. Three layers of cake made up the green base. Three other layers of cake were then set on a cake board, which was then placed on top of the green layers. With five thick straws holding up the pink section, and a wooden dowel rod going through both layers, I thought it had more than enough support. 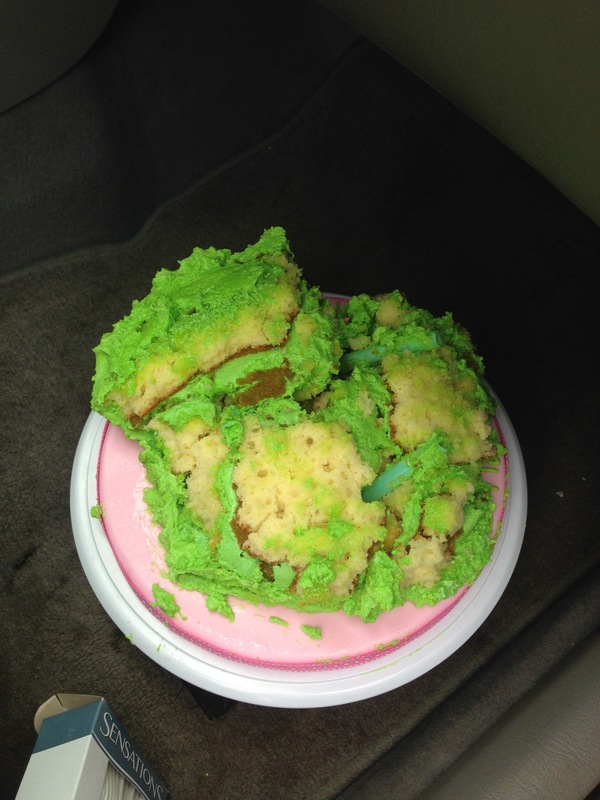 About 20 minutes into the drive, a small crack appeared in the side of the green frosting. I momentarily freaked out, but, remembering the cake was for a friend, I knew she wouldn’t mind if I popped into her kitchen and used a spatula to fix that little crack. Ten minutes later, and the crack had grown. Hugely. I began to drive with one hand holding onto the base, trying to keep it as perfectly horizontal as possible and trying to minimize bumps. I wish I could say that I scrunched up that cake to make it look worse for the picture, but unfortunately, I did not. It literally fell apart. I got out of the car, still holding the (intact) pink half of the cupcake, and had no idea what to do. So naturally, I called my mom. And though she is excellent at providing emotional support, she was unable to provide assistance to her daughter who was standing sobbing in the Mariano’s parking lot on a drizzly Sunday morning with half a cake in one hand and the other half spread across her front seat. I tried to collect myself. I removed the cake base with the messy green bits and put it on the floor of my car, and then set the pink half into the large circular pan. I stood there in the parking lot, using approximately ninety thousand Starbucks napkins that I have amassed over the years (I KNEW they’d come in handy some day!) to wipe off the buttercream that coated my entire arm. Between sniffles, I devised a plan. I took my tear-stained face into Mariano’s. “Can I help you?” said a concerned worker. “I just need, um, plastic cutlery, and some paper towels. And water. And a plastic bag,” I answered with a hiccup. The gentleman showed me to the aisle and then, I assumed, went back to call the authorities. I took the supplies back to my parking space and squatted next to the car. Handful by handful, I tossed chunks of cake and green buttercream into the plastic bag. I dampened some paper towels and then attempted to wipe off the frosting around the edge of the cake base. Wetting fondant is not a good idea because it causes it to get sticky and it also leaves a sheen, but it was better than leaving the green everywhere, I thought. Adding to the overall stress was the fact that, of course, I had promised to bring this cake over by a certain time, and not only would I now be late for that, but I was risking being late for the bridal shower. Which I had the party favors for. When I eventually arrived at my friend’s house, she oohed and ahhed and graciously reminded me that it was “a smash cake for a one year old. Don’t even worry a bit.” And after showing her the pic of how I had helpfully pre-smashed the green layer for the kid, I went on my way. Do not taper the edge of a cake in so much. Especially if you’re using regular fluffy cake instead of firm pound cake. Only make cakes for kind people who are nice to you if you mess up. 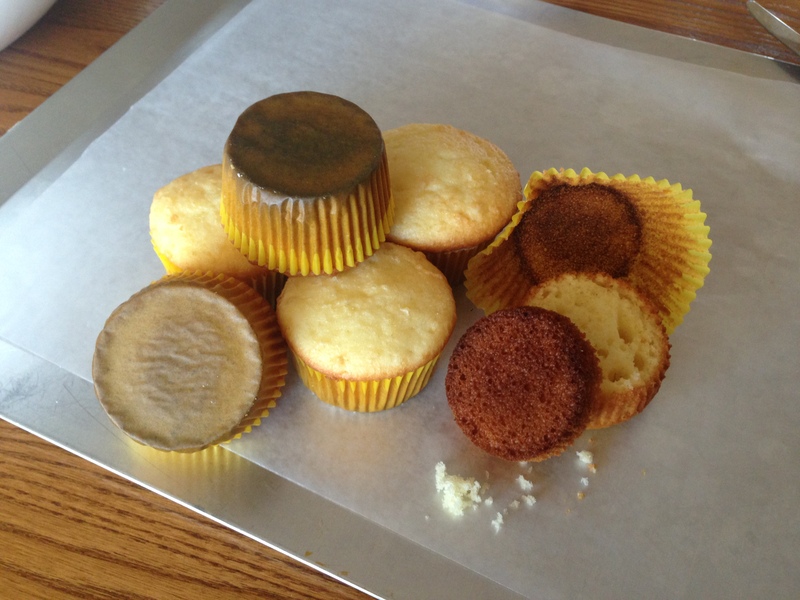 Have you ever had a cake disaster? Or any disaster in the kitchen? Tell me about it in the comments below. It’ll help my self-esteem. 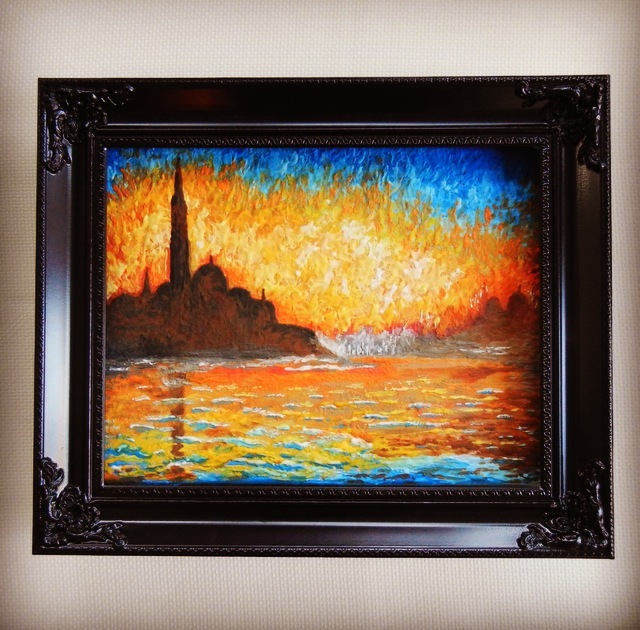 Have you ever wanted to see how a cake can be painted to resemble a beautiful Van Gogh? Well, you’ll have to look elsewhere. This shaky video, filmed with my iPhone hanging with rope off a light fixture, accompanied by a sample of YouTube’s free music that, though inexplicably labeled “If I Had a Chicken,” brings to mind a black-and-white 1910s flick featuring a Vaudevillian duo comically arguing in a dusty saloon…. 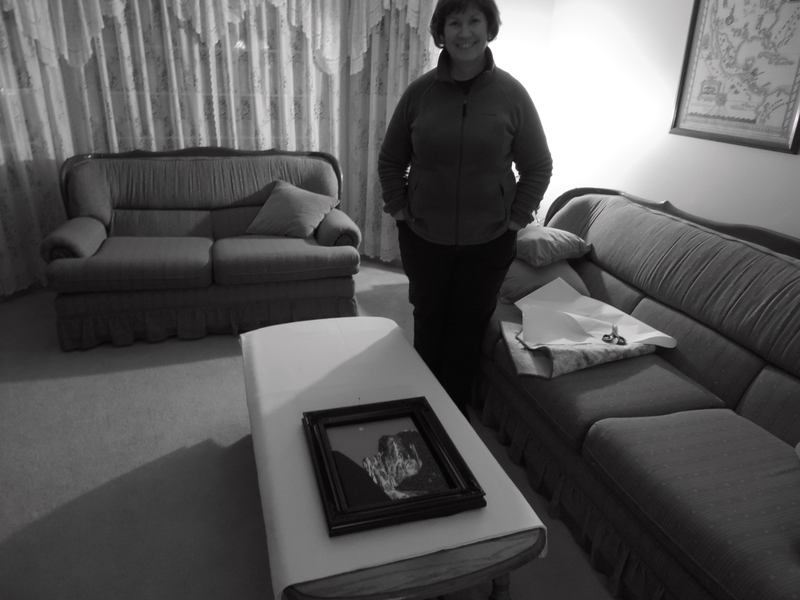 well, let’s just say this is my first try, and in the future, I shall be purchasing an actual camera and a tripod. Or something. 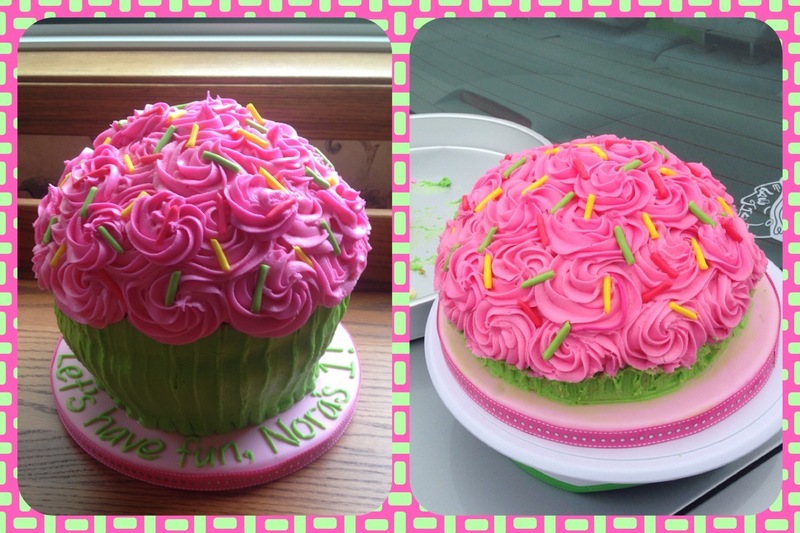 If you’re interested in seeing some still-photos from the last time I tried this cake, please click here. I promise, it looks nicer and you won’t feel quite the same need to break out your Flapper beads and bust out the Charleston! 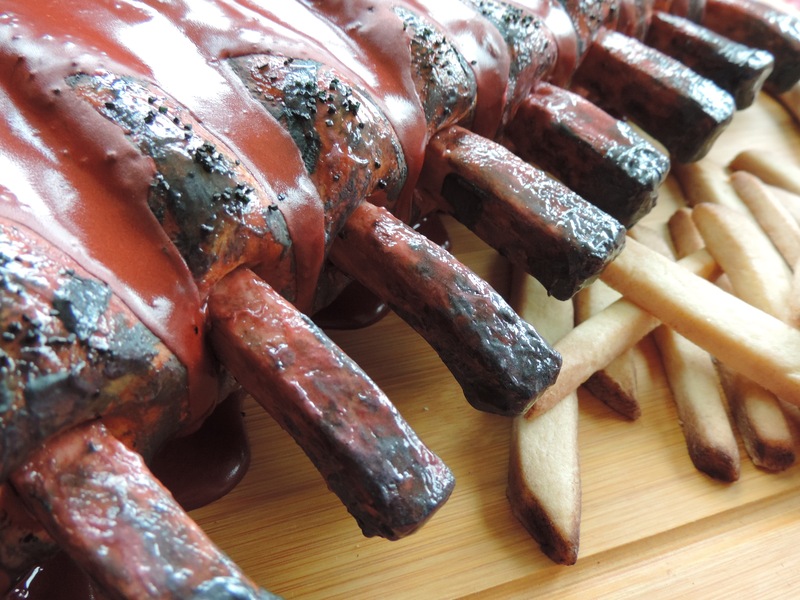 As a 99% vegetarian person, these are some ribs I can really get behind! 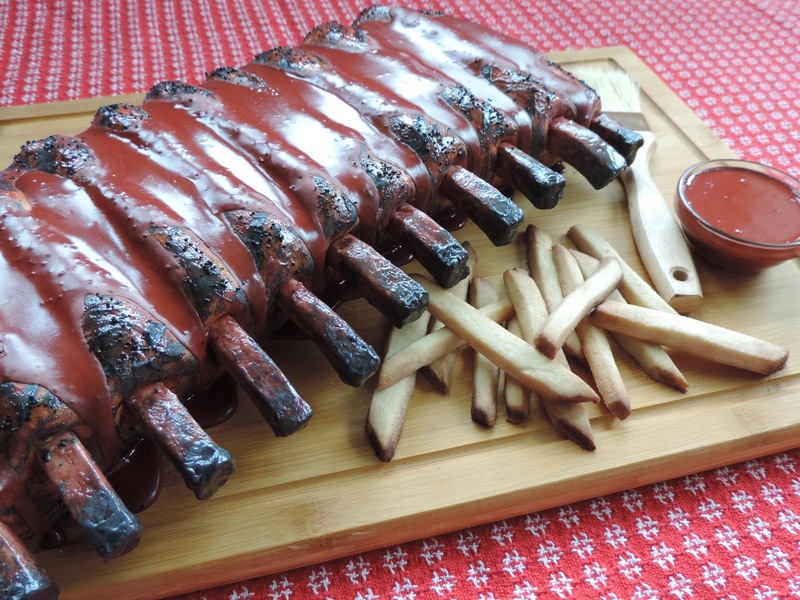 It’s not that I have any moral problems with meat- I just don’t like it- but these “ribs,” I have no problems with. Vanilla cake, buttercream, fondant, royal icing, and sprinkles. Yummy! STEP 1: Carve and cover the cake. This is SO MUCH EASIER if the cake is frozen. I used a 16″ circle and then cut off the top and bottom parts of the circle. Then I cut some divots for the ribs. 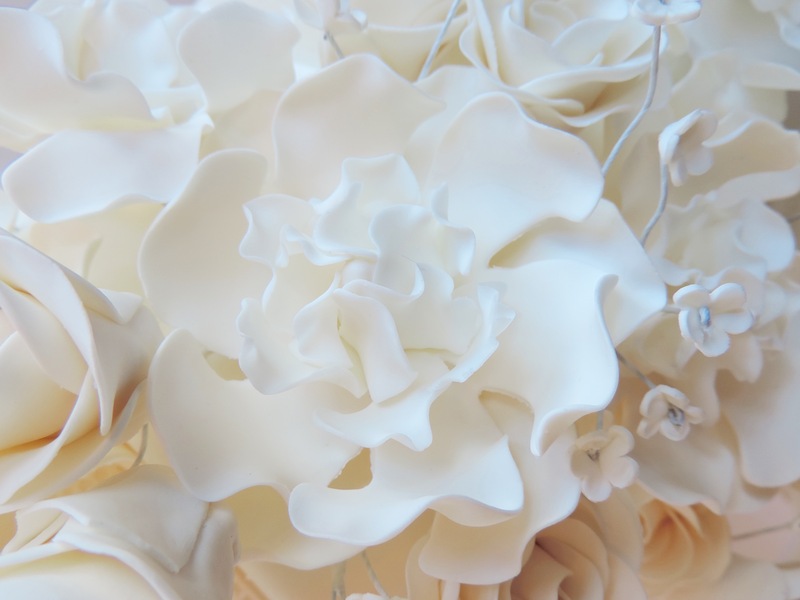 After the cake is carved, cover it with buttercream. 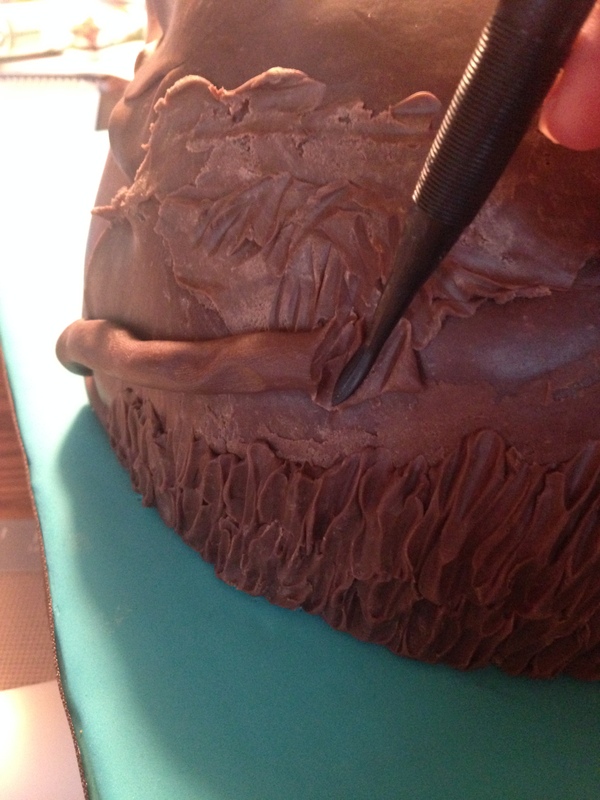 Lay fondant across the cake and carefully press it into the divots and around the base. I used a really light color of fondant, but remember, you can’t put a light color of food coloring on top of a darker color. So if I wanted any “highlights” of this light color, it needed to be the base color. STEP 2: Make rib bones. I actually made these a few nights in advance so they were quite hard. 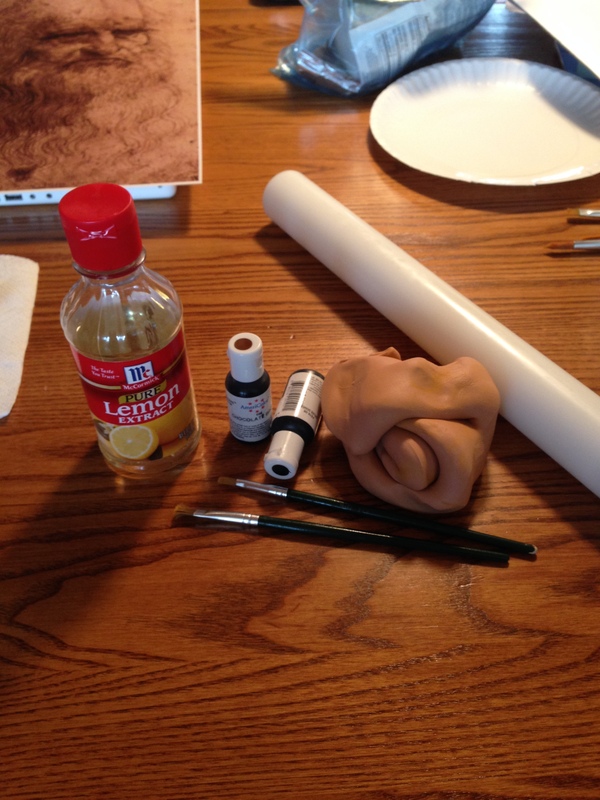 Using a mixture of gum paste and fondant, I shaped the bones and put them on a long stick. Lay them out to dry. Flip them over every few hours so both sides dry. This was the super fun part!! 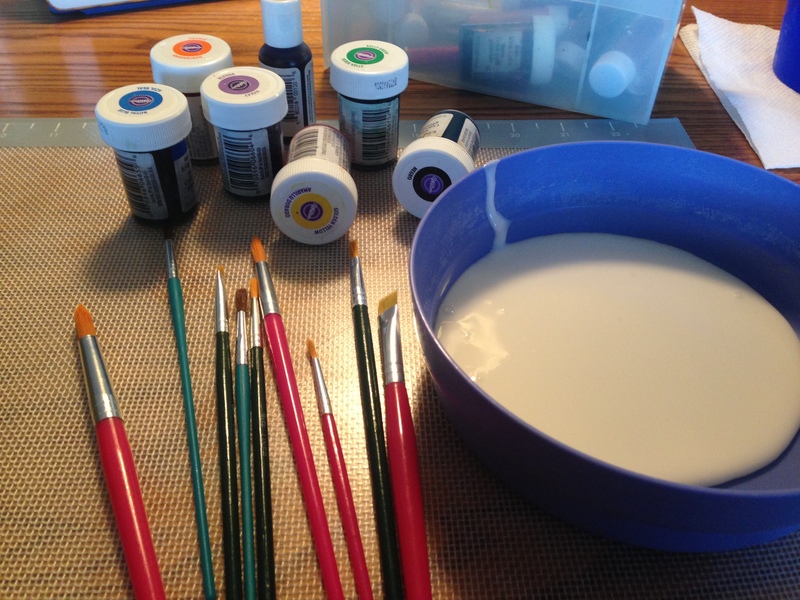 Mix up a batch of royal icing, and then color it a few different shades. As you can see here on the left, I began with a reddish brown. Of course, don’t cover it completely- let a little of that light brown show through. I then added some black, and then some grill marks. 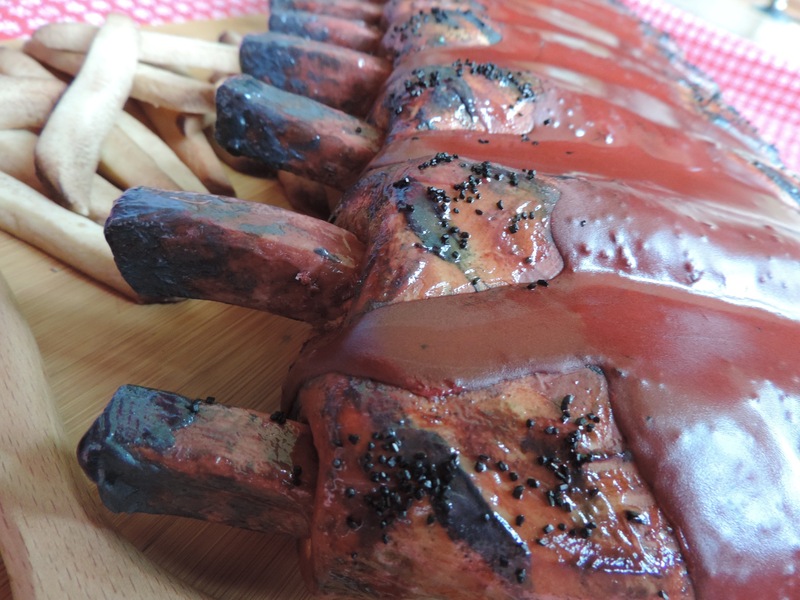 Finish it off with black sprinkles, and then pour on some red royal icing to simulate barbeque sauce! A feast for all- vegetarians included! 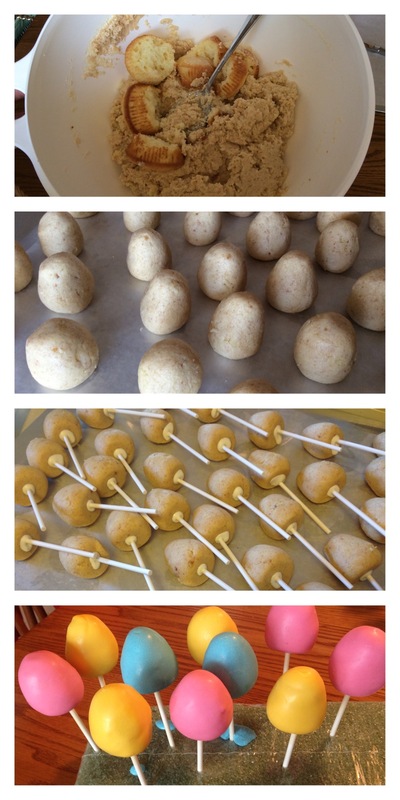 Step 2: Form the cake balls into whatever shape you like. Put into refrigerator for a while. 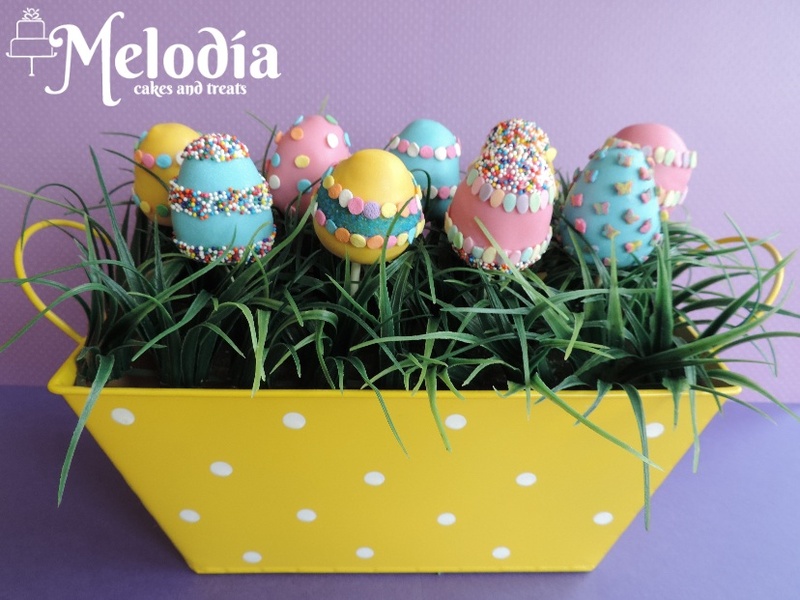 Step 4: Once hardened, dip your entire cake pop into the candy melts. Twirl to get rid of excess (I haven’t mastered this yet! 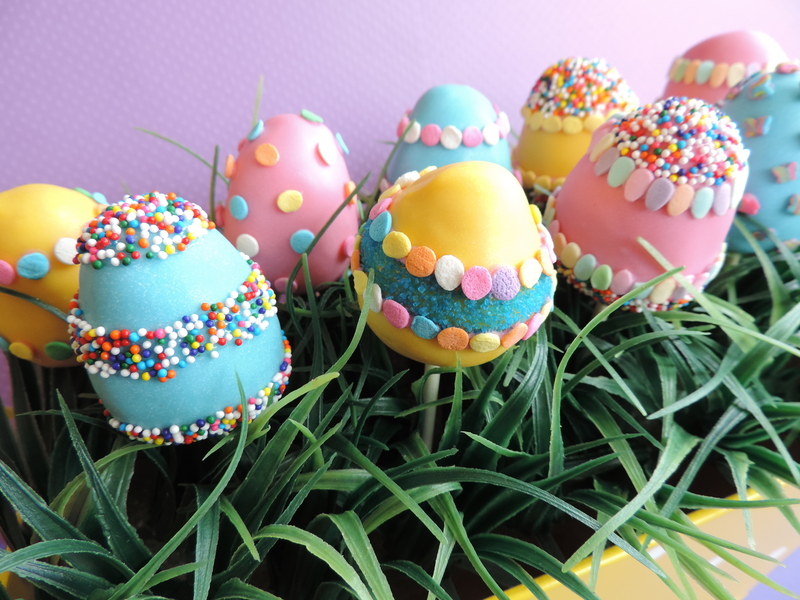 ), and then place upright in a cake pop holder or a piece of styrofoam. Let harden completely. Step 5: Finally, the fun part! Decorate away! 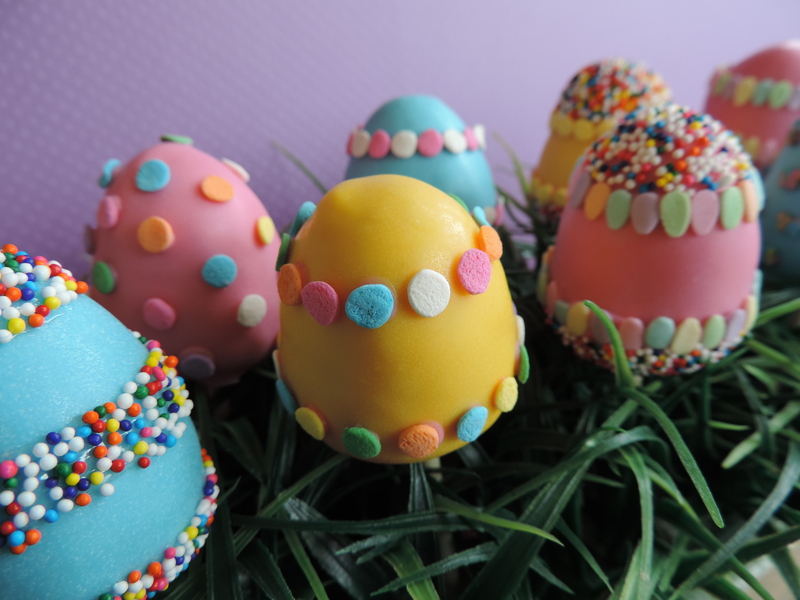 🙂 I attached the larger sprinkles one by one, using a toothpick dipped in a teeny bit of the melted candy. 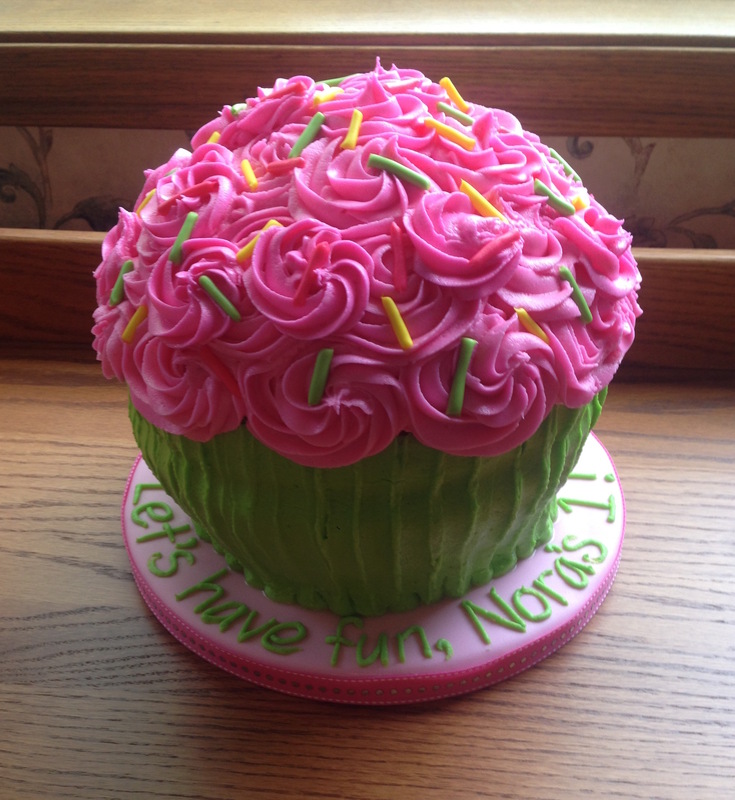 For the smaller sprinkles and sugars, I used a paintbrush dipped in piping gel and coated the area I wanted covered, and then dumped on the sprinkles. They will adhere exactly where your piping gel was! 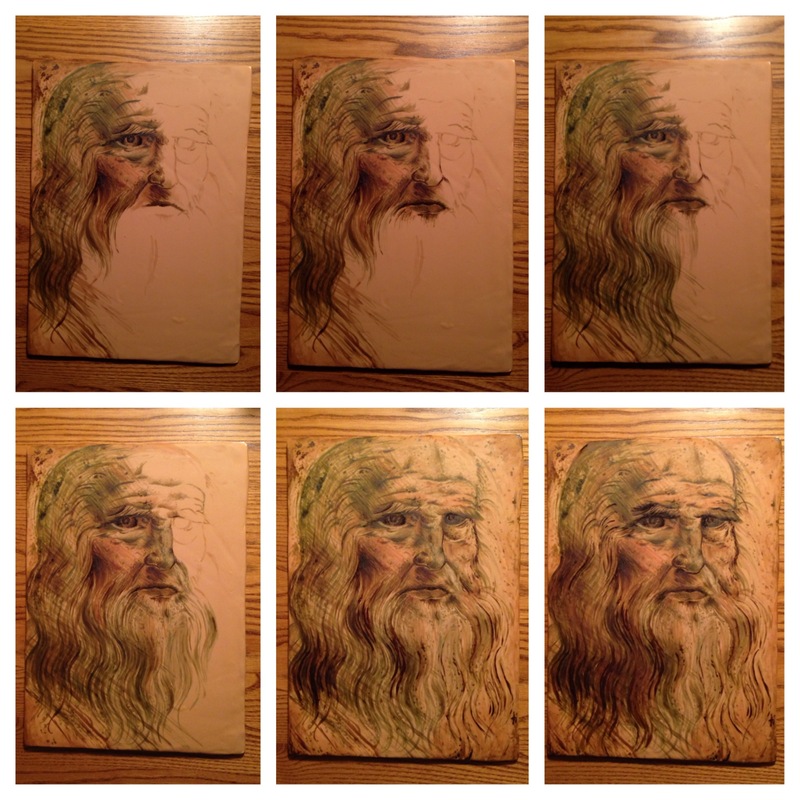 Question: How on earth can I recreate a Renaissance art piece using cake materials? I’ve been putting it off for months. 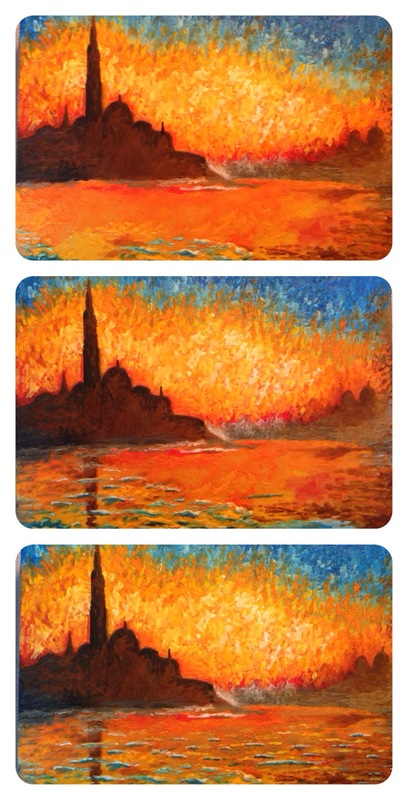 Impressionism, post-impressionism, surrealism, cubism… those are so much more forgiving. But the precision of those Italian masters would be impossible to recreate, and I resigned myself to skipping that period. But then I thought, really, Kath?! You’re going to do an art series and skip one of the most well-known periods? So I devised a compromise. How about I do a famous drawing instead of a painting? That would be easier because I wouldn’t have color troubles. 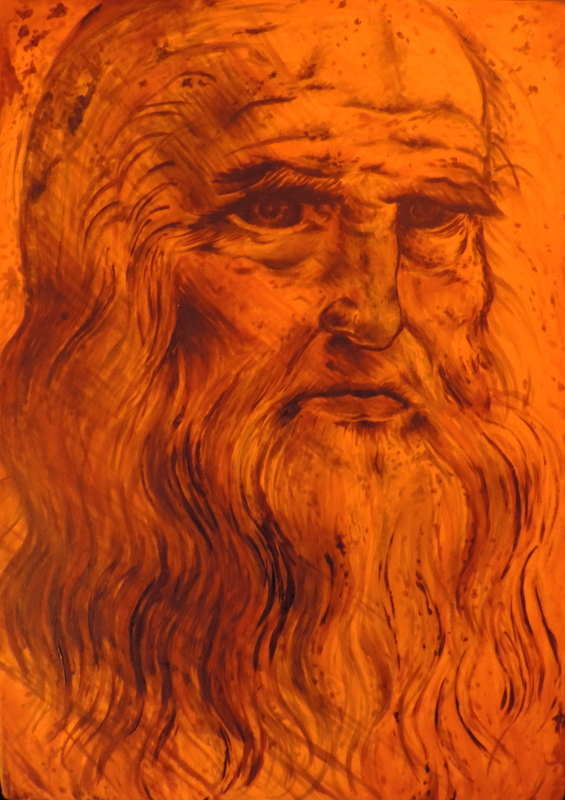 A sketch would be even better than a drawing- a nice, rough, one-tone sketch that maybe looked like it was scribbled in five minutes, as opposed to, say, the Mona Lisa. 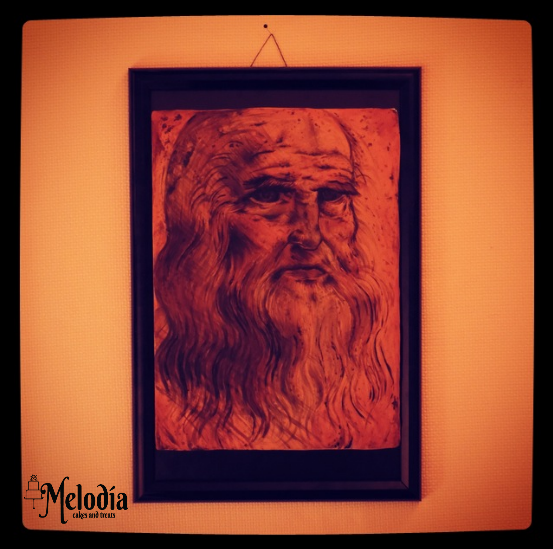 After looking around a bit, I found a print of a Leonardo da Vinci drawing that is suspected by some to be a self-portrait. Pretty simple- brownish background with brownish chalk. (Well, simple for Leo, I mean, haha!) I set to work with the fewest materials ever: brownish fondant, one fine paintbrush (that would be a paintbrush that has a thin tip, not a paintbrush that you look at and say, Dang, that paintbrush is fiiiiiine! 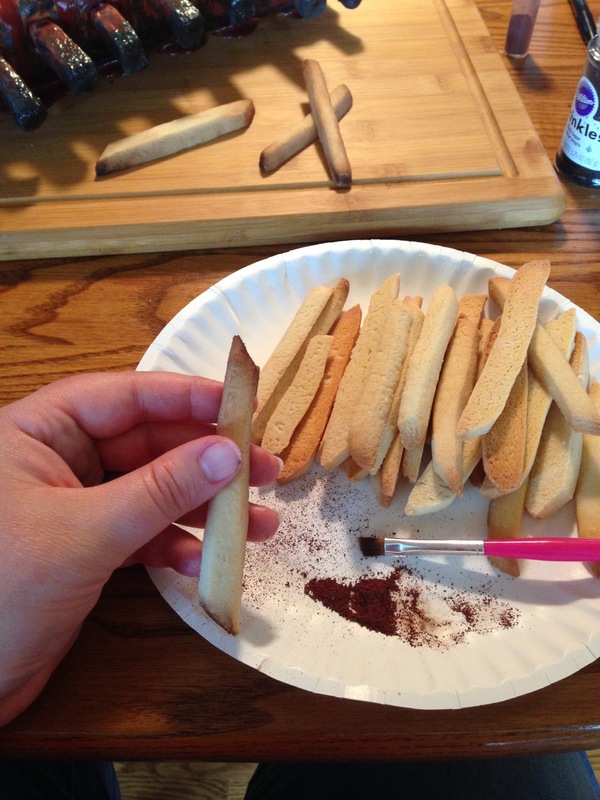 ), brown gel coloring, and lemon extract. That is literally it. Brown food coloring is apparently not brown, it is green at heart. And black is actually blue. This is a weird phenomenon to me, and I do not understand the chemistry behind the process. 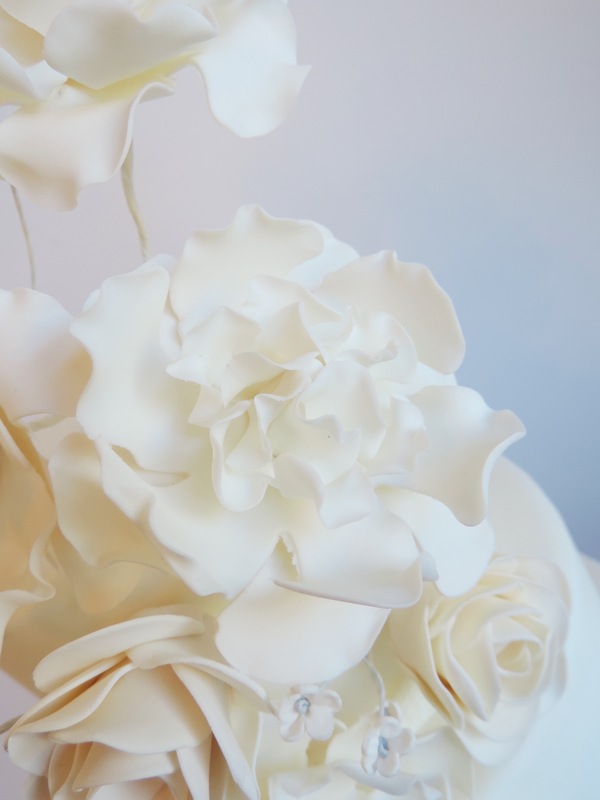 But here is what happens, according to my simple observation: If you use brown coloring in fondant, royal icing, buttercream, gum paste, or any other medium I’ve ever used, it makes it brown. (Duh.) However, when you add lemon extract, it separates into individual colors, with the predominant one being green. ??? Why? I don’t know! I don’t get it! And the black coloring turned blue! Check out the evidence below! In a way, this is a sort of beautiful plate. 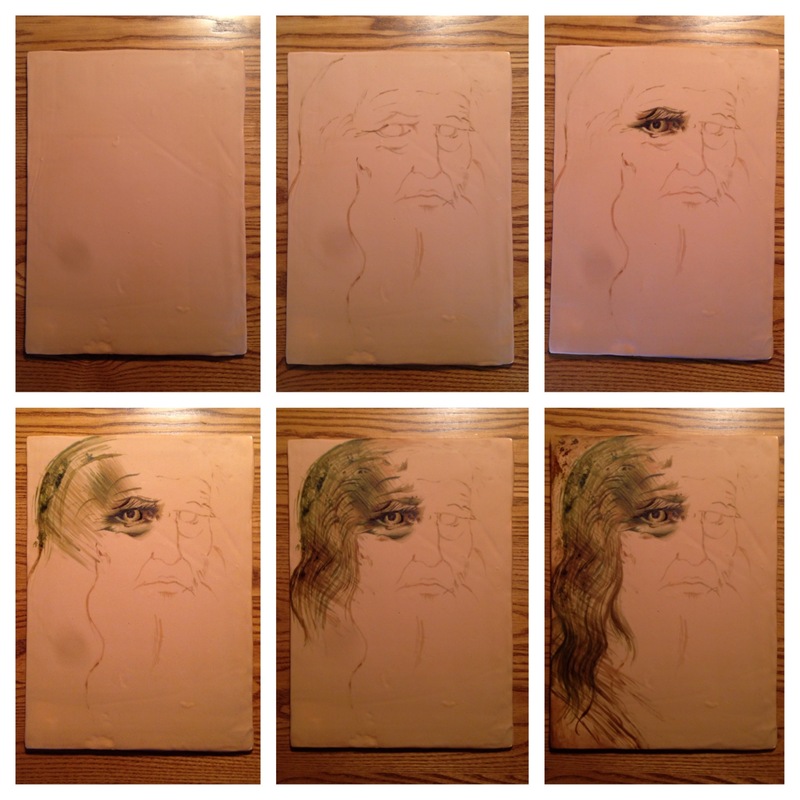 But in another way, it’s extremely annoying when your Leonardo da Vinci comes out greenish and seasick. And as I could find neither a cause nor a solution, I present to you: Leo: His Life on the High Seas. It is hard to paint for hours while leaning over and not being able to support your hand. 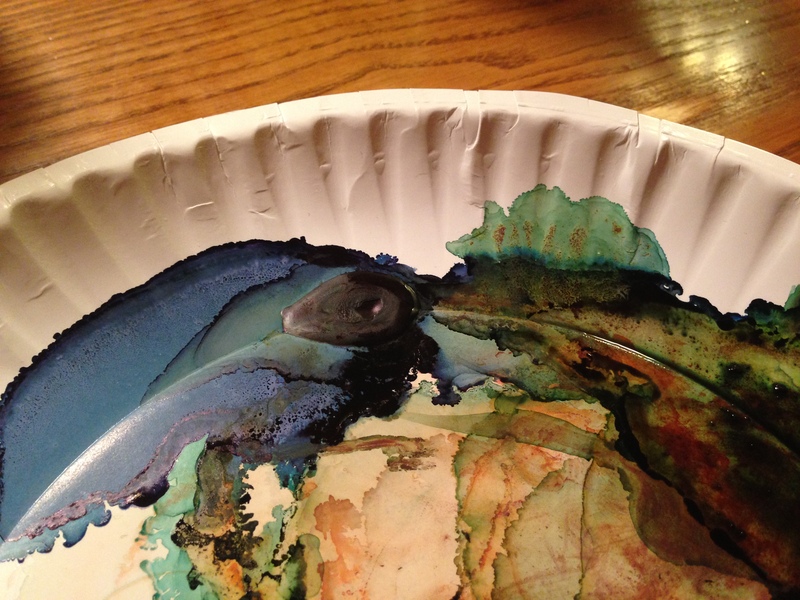 As always with food coloring, you cannot add light color on top of a darker one. Therefore, if you paint over an area that should be lighter, you are in trouble! You must be careful! Working with paint is quite different because yellow paint can be painted atop black, but since food coloring is clear-ish, that doesn’t work. For example, using the third photo below- with regular paints, I would paint the pupil the desired color and add a dot of white in the center of the pupil to make it look like it was glinting. But in this case, a little area for the “dot of white” must always be preserved and not painted on. It’s a backwards sort of way of thinking. 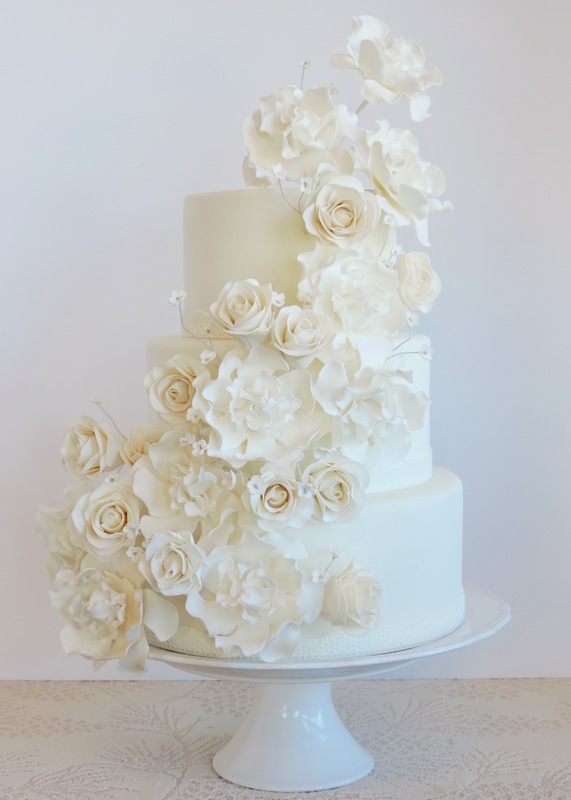 Do you have an idea for an art-inspired cake? Leave me a suggestion in the comments below! Perhaps you’ve heard about Haley. Maybe you’ve heard about her on the news, seen her with the Chicago Bears or read about her in a magazine. Maybe you follow her facebook page. I, myself, have never met Haley or her family. But what I have witnessed is an entire community coming together to support and encourage Haley in her battle with brain cancer. Diagnosed in the summer of 2013, the community has since rallied to envelop Haley, her family, and her caregivers with prayers and well-wishes. 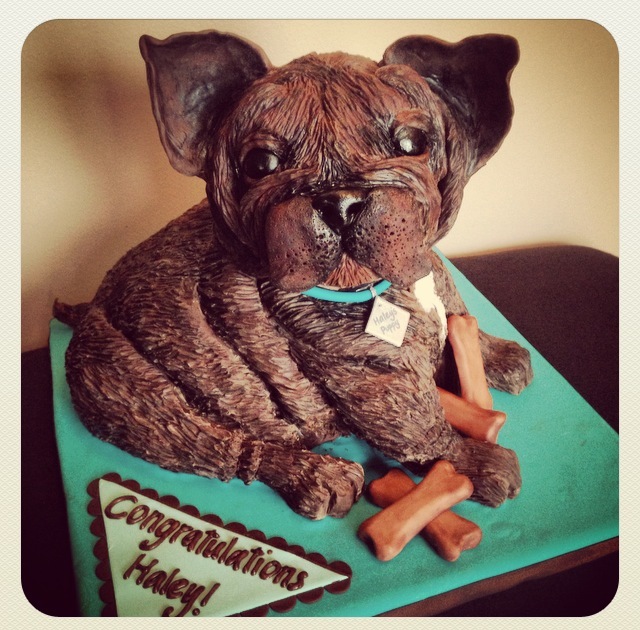 This past weekend, Haley was the guest of honor at an event and I was lucky enough to be able to create a cake for her. A “French bulldog puppy” was requested so I set to work! It was at this moment that my nerves began. I usually have a pretty accurate overall vision for cakes, and while I always worry about finishing on time or running out of materials, I never worry about the design. But this turkey/dog? Oh my! And so, with great trepidation, I quelled the swirling nerves and put my game face on. 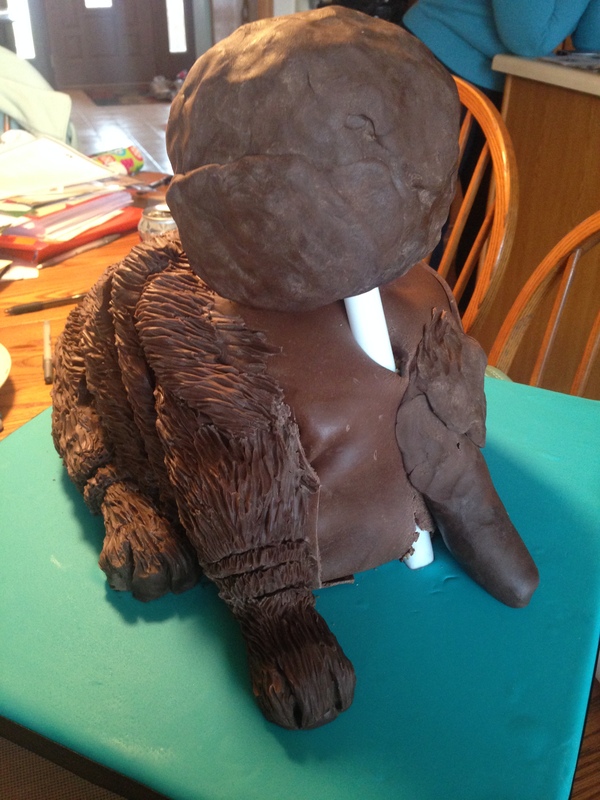 Since the bird- err, dog- was already covered in modeling chocolate, it was time to add a layer of fur. I took a little at a time, warmed it in my hands a bit, stuck it on the side, and used the burnishing tool to create little ridges that (hopefully) looked like fur. Once the modeling chocolate fur was added, I added the head. 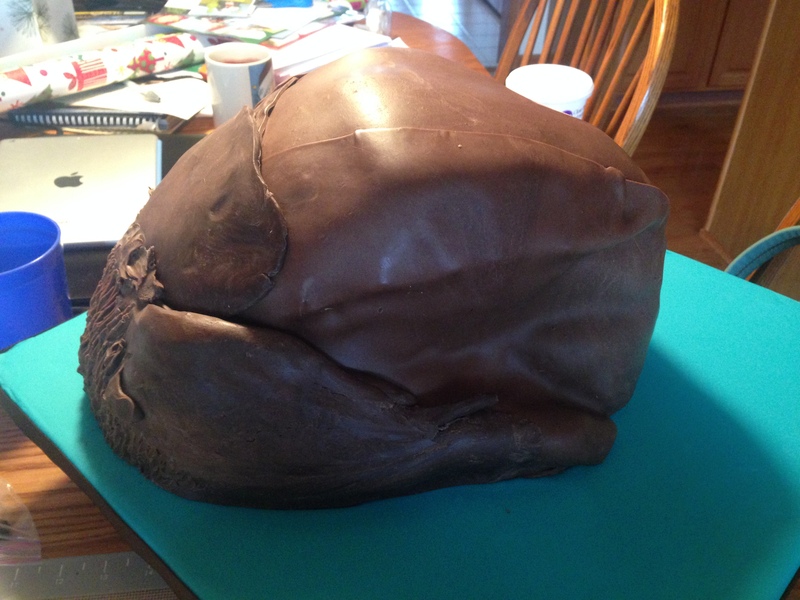 I had taken a styrofoam ball and covered it in modeling chocolate, inserting the whole thing through the cake and into a pre-made hole in the cake board. I would like to say that the head was inserted at a jaunty angle to give the dog a spunky personality… but the truth is, I didn’t trust it to sit up straight. 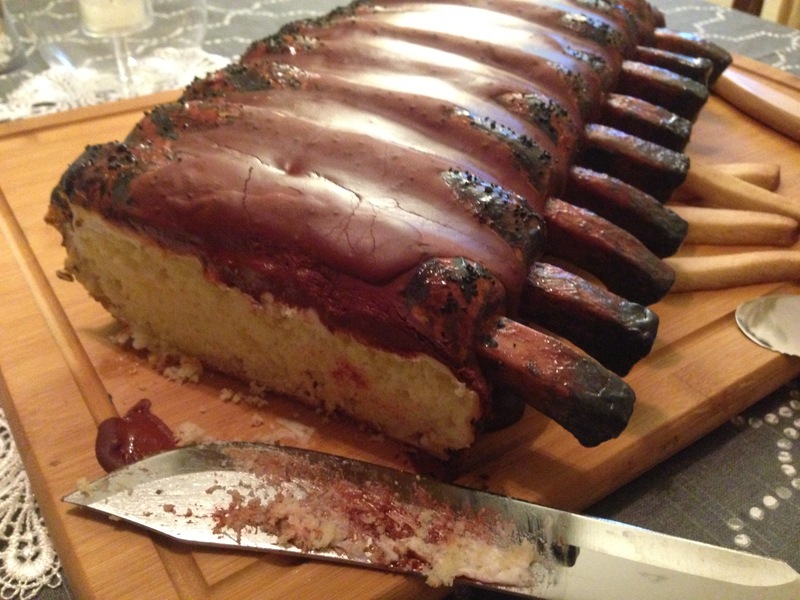 It was covered in so much chocolate and was so extremely heavy that I needed to have the stability of an angled base, as well as the ability to rest it on the side of the body. About ten hours of Netflix and one depressing Blackhawks loss later, the turkey dog was not looking like anything fit to serve. 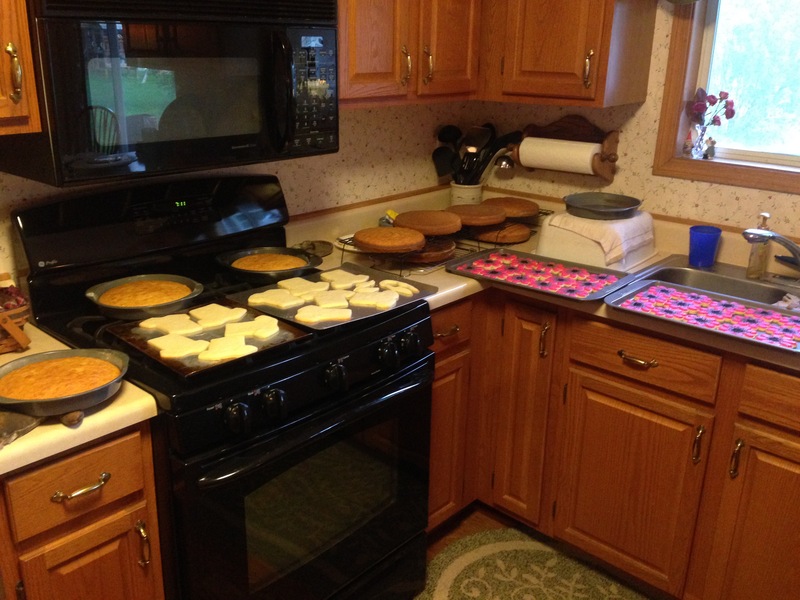 I did a cursory glance throughout the kitchen as I imagined myself re-baking the cakes at 3am. With the bundle of nerves rising closer and closer to the surface, I continued to add fur and textures and shading, as I sent up a prayer and hoped for the best. It wasn’t until I added the snout that I suddenly believed in the dog. (Try it- cover up the snout in the photo below. It looks like something out of Star Wars, right?) 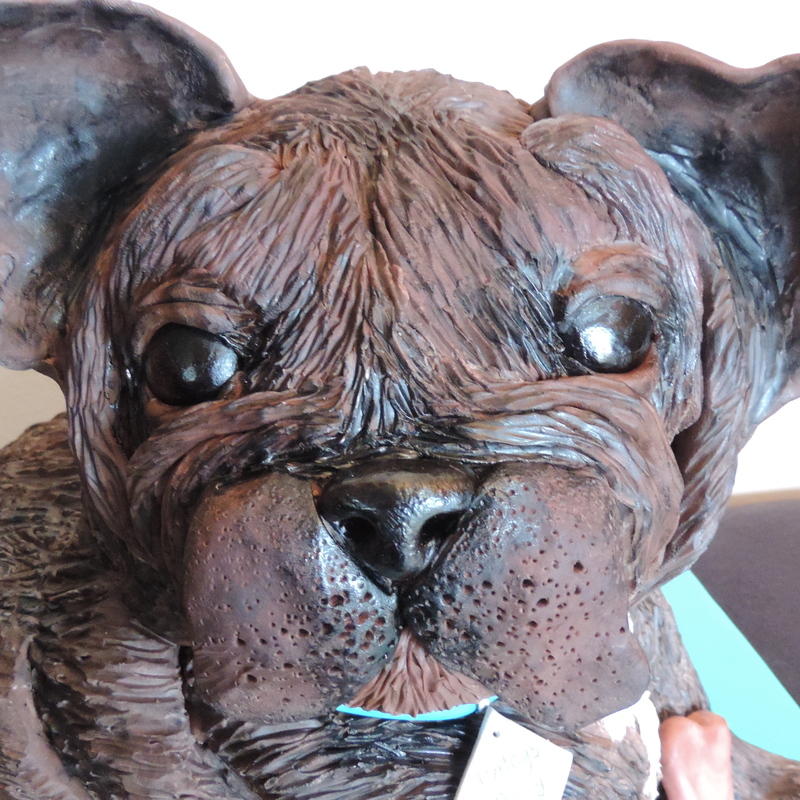 But that cute lil’ fondant nose, painted with black food coloring so it glistened? Nooooow we have a dog, instead of a gremlin. Whew! For some more in-depth modeling chocolate examples, check out my attempts at Bucky the Badger, Yoda, Michelangelo’s Pieta, and the Wizard of Oz characters! To learn more about Haley and donate to her cause, check out her website here. 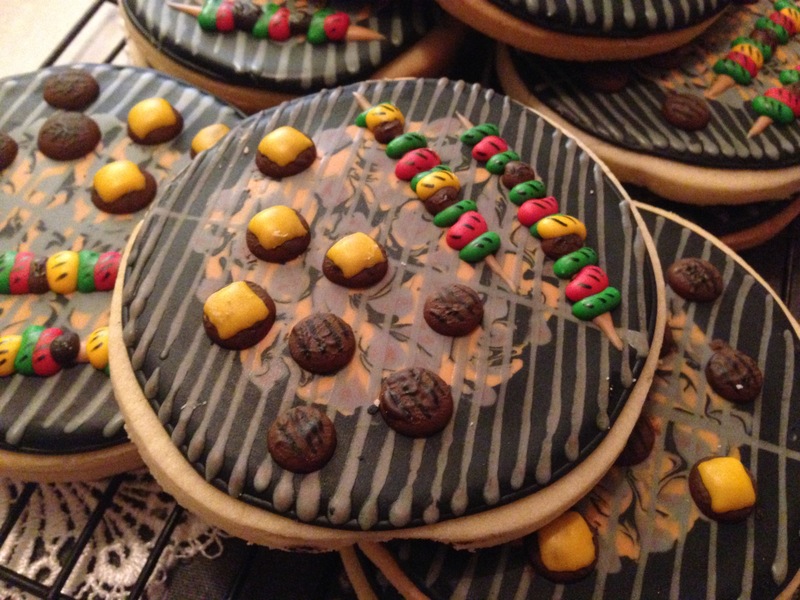 If you’re in the Cary area, come to her event at CGHS this Saturday for a festive afternoon of cookies, hot chocolate, live music, and a silent auction chock full of great items! 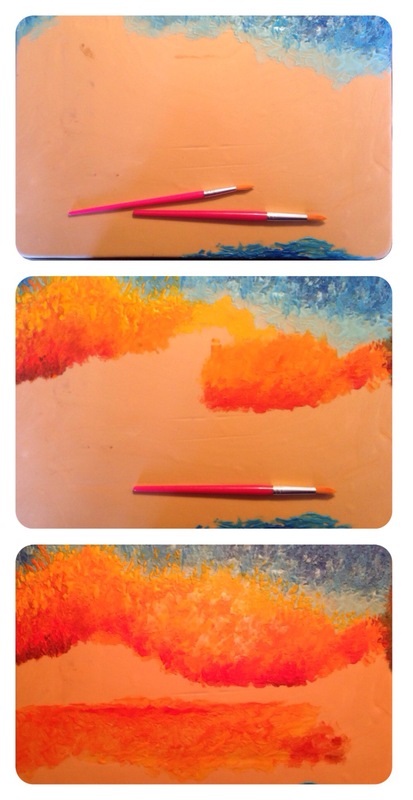 I’m getting to the end of my art series (“Finally,” you sigh with relief, for perhaps you do not like art at all and are sick of these types of posts!) and I’m running out of both art styles as well as viable cake decorating techniques. I’ve been putting off the photography recreation, because it seemed impossible. But after I baked a delicious chocolate cake last week (so yummy! ), I had chocolate on my mind! 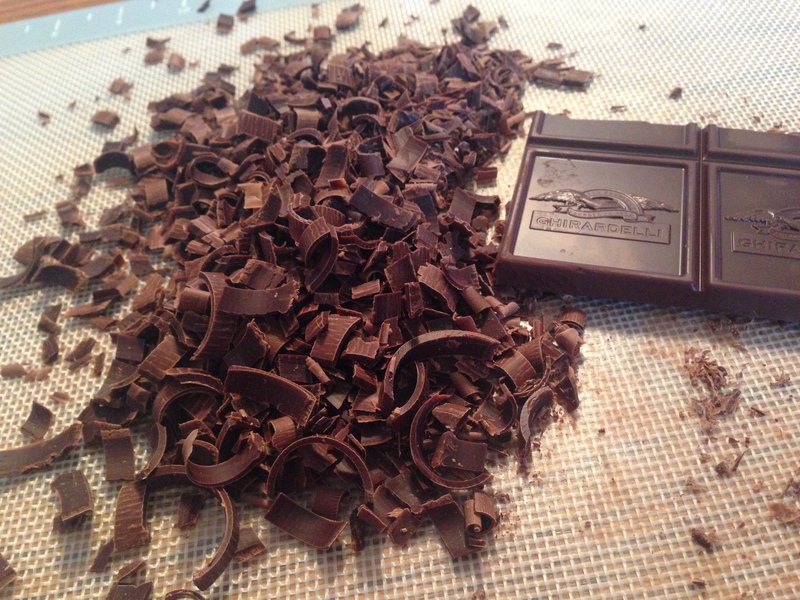 A little idea took root in a dusty corner of my brain (it’s next to the little-used math section) and I thought, what if I cut up pieces of chocolate? Really, really small? And place them, one by one, in the form of something? I’d love to report that this was easy as pie, but I cannot lie. I sat for hours and hours, hunched over the table, clutching tweezers in my hand, and glancing up at the real photograph for guidance. I mean, honestly. 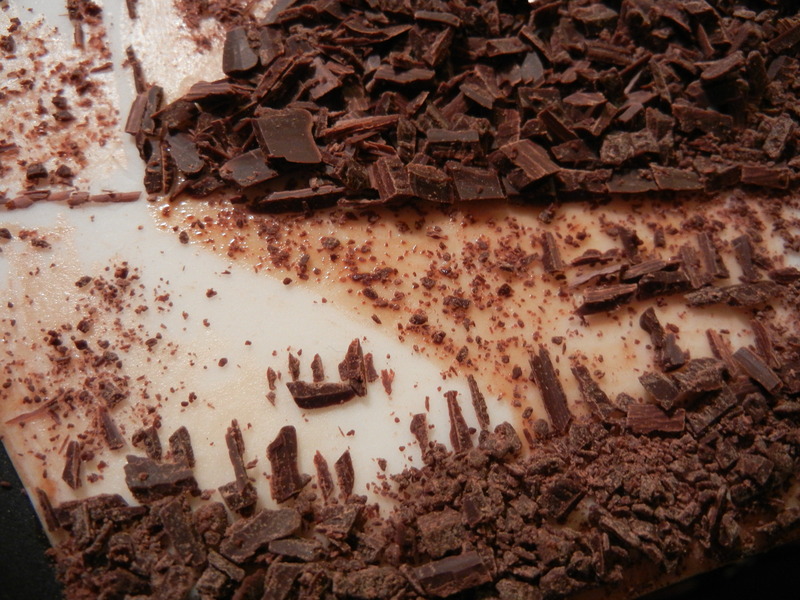 What kind of crazy person places these teeny tiny dots of chocolate individually? And to what end? Unfortunately, I still have no answer to that question! But I finished the task, because it is my unfortunate allotment in life to be an obsessive perfectionist. Rather than post lots of photographs showing the progress, they are compiled here. 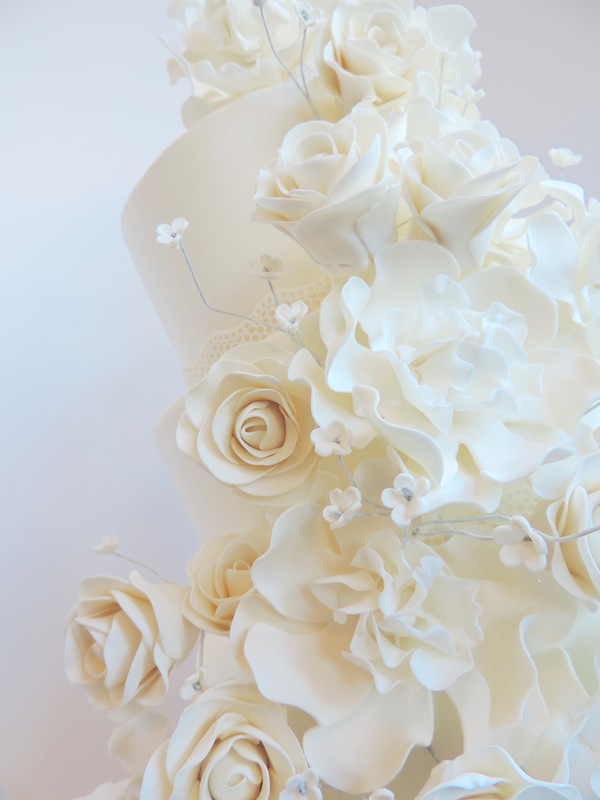 Click to watch the cake come together in less than one minute! 4. Using tweezers (because, despite what we learned from M&Ms, chocolate does melt in your hand), carefully place each piece of chocolate. 5. Be prepared to dedicate a significant portion of your life to this, for no really good reason. 6. Use vanilla extract to create a darker background for certain parts of the photograph. 8. Rejoice and be glad, for you are finished! 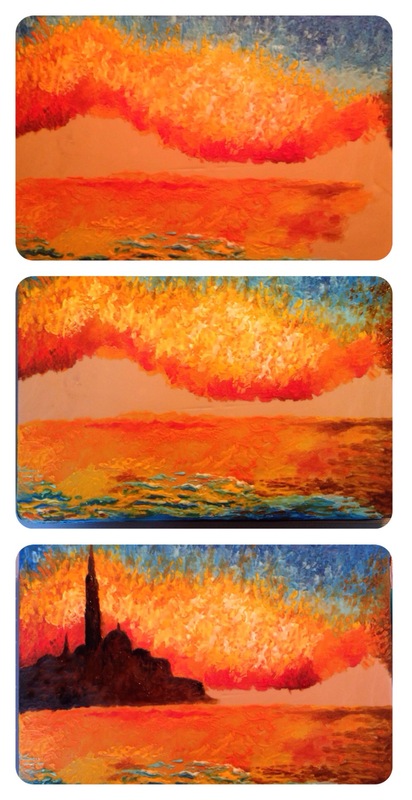 Next up in my attempt at recreating famous works of art with various cake supplies: Monet’s “Sunset in Venice.” Which reminds me- who’s with me for a trip to Venice? The only place I’ve ever had an attempted pickpocketing take place- and it was by an American. I mean, come on. Luckily the bag was twisted around my wrist so the grab only succeeded in nearly dislocating my shoulder. Apparently the thief did not know of my special shoulders that can dislocate at a moment’s notice. If he’d asked, I would have demonstrated how I can play the piano backwards. 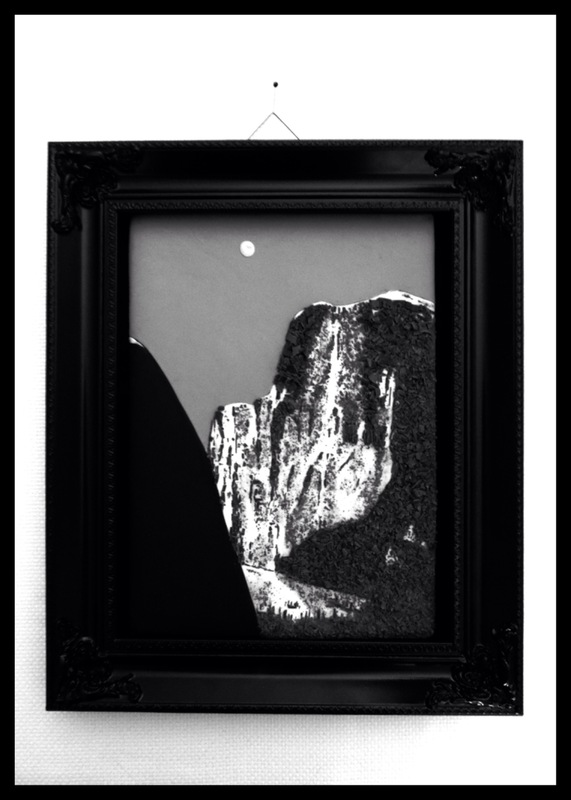 And here is the final product, with a nice lovely frame to make it look like a real painting! I am running out of ideas for techniques! 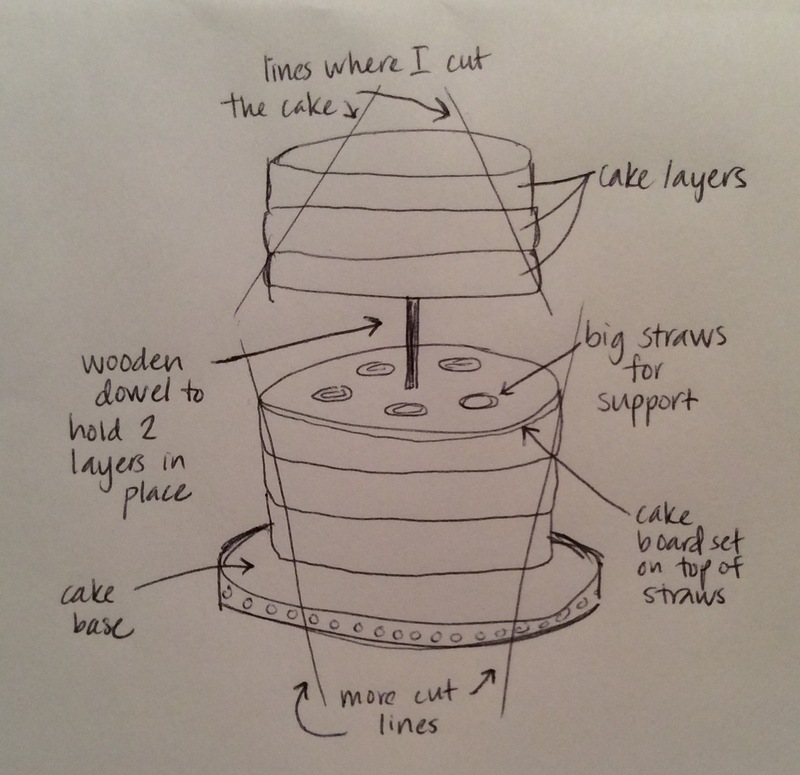 I have a plan for a fondant cake, and that is it. Please leave a note in the comments below if you can think of a different decorating idea. And a different artist. 🙂 I’m missing the 1600s-1700s completely, and can’t even fathom a decorating technique that would allow me to create such realistic figures. HELP!! !